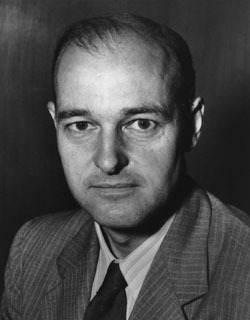 A Princetoneducated diplomat, Kennan was a specialist in Soviet politics and, after World War II, while stationed in Moscow, transmitted to Washington, D.C., in February 1946 the so-called “long telegram,” in which he analyzed the Soviet psyche and advocated developing a policy of “containment,” opposing Soviet Communist expansion wherever and whenever it appeared in the world. This policy was further articulated in a famous article published under the pseudonym “X” in the journal Foreign Affairs in July 1947. Containment became the cornerstone of U.S. Cold War policy for half a century.